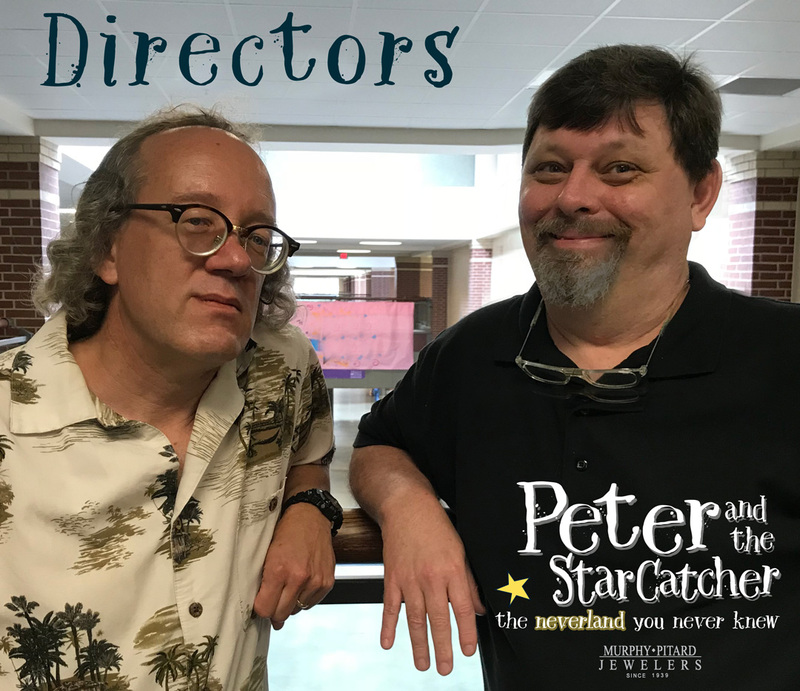 The theater committee at SAAC is thrilled to announce the selection of Mike Means and Bill Meyer as directors for the upcoming play “Peter and the Starcatcher,” which is sponsored by Murphy-Pitard Jewelers. The comedic team of Means and Meyer have a long history at SAAC. Means first stepped on the SAAC stage in 1998 in “The Musical Comedy Mystery Murders of 1940”, with Meyer’s first production the holiday show “Fruitcakes” in 2006. It was just a few years later in 2010 when they appeared together in the Agatha Christie classic murder mystery “The Mousetrap” with many more shows to follow – including “The 39 Steps” and “Twelfth Night”. For the last six year the two have been making people laugh as part of El Dorado’s improv group Give Me A Second. In this swashbuckling grown-up prequel to “Peter Pan”, a dozen brilliant actors playing pirates, mermaids-and of course, our favorite Lost Boys-set out for an adventure filled with ingenious stagecraft and the limitless possibilities of theatrical storytelling. Means invites the community to “channel your inner pirate and join us for auditions. We want the project to be fun for the cast and the audience.” Meyer added, “If you leave feeling inspired or at least a little seasick, we’ll consider it a success. For more information about “Peter and the Starcatcher”, please call the SAAC office at 870-862-5474.